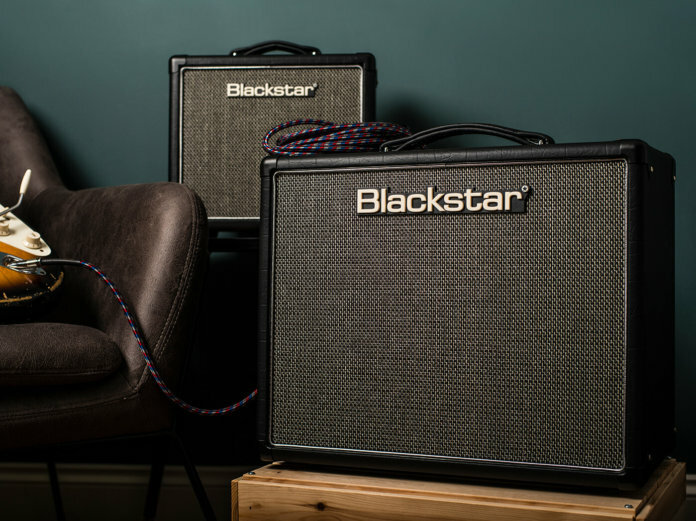 There was a great deal to like about the original Blackstar HT-1R and HT-5 amplifiers, with both proving very popular due to their high-quality valve tones and affordability. Launched at NAMM 2019 in January, these new ‘MkII’ versions offer not only tweaked aesthetics but also new functionality, and sounds that bring these amps bang up to date. The first thing we notice when unboxing this brace of combos is that the cosmetic upgrades, while subtle, lend the amplifiers an air of elegance that surpasses their more workmanlike predecessors. Cream chicken-head knobs, elephant-hide-textured tolex and the now familiar Blackstar black/white/silver weave cloth all combine to suggest a much higher price-point. A glance at the control panels reveals that both amps are bristling with size-appropriate features such as different voicings, channel-select options and USB outs for hassle-free digital recording. Like the original models, these updated combos are built around the idea of a low-powered, ‘push pull’ power amp which produces the overdrive and breakup characteristics of a more powerful machine. In order to achieve this, Blackstar uses real tubes: the HT-1R packs an ECC83 and an ECC82, while the HT-5 sports an ECC83 and a 12BH7 dual-triode valve. Both amps also feature speaker outs and footswitchable voice and channel controls, however, only the HT-5 comes with a footswitch included in the price. 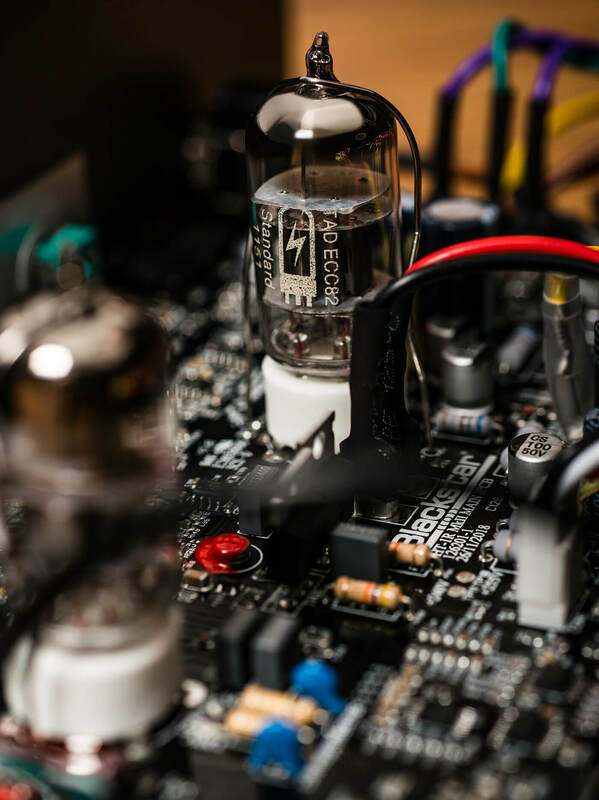 From a practical point of view, the contexts in which you’ll be using a smaller amp do make a footswitch less of a must-have and at the affordable end of the market, it makes sense not to compel customers to pay for something they might not need. We begin our session with the diminutive HT-1R MkII and a Stratocaster. 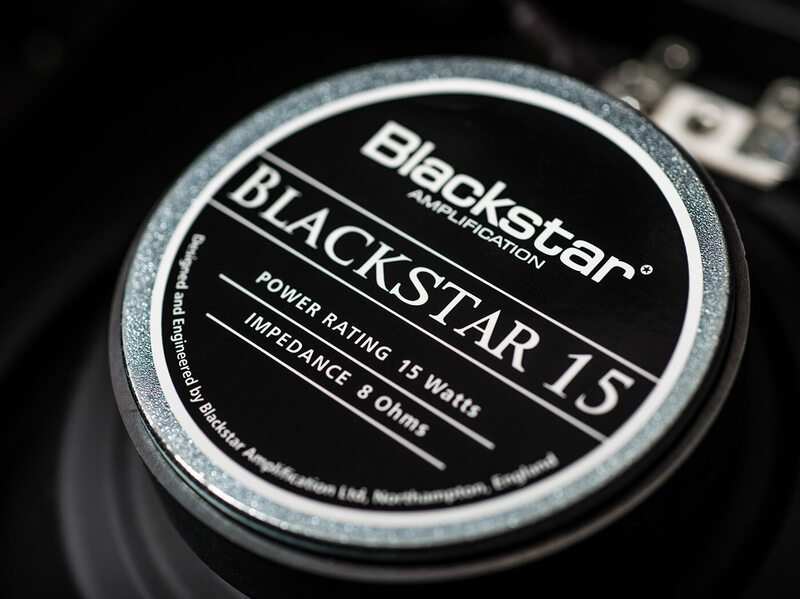 Engaging the clean channel and with the volume and reverb pointing at noon, we investigate Blackstar’s Infinite Shape Feature (ISF) control knob, which is the only EQ feature of this amp. For those unfamiliar with ISF, Blackstar claims that it allows you to dial in countless tonal options from USA (left) to UK (right) in seconds. In practice, there is indeed a marked difference between both extremes, with convincing Marshall/Fender flavours and some very pleasing textures in between. Something that immediately grabs our attention is that this is not a ‘small combo’ sound, by any means. In fact, the sense that a much bigger speaker is shifting the air around us becomes increasingly pronounced as we dial up the volume. It’s almost as though there’s some sort of stereo-image-widening wizardry at play, with no hint of the boxiness inherent in many smaller combo designs. Selecting the OD channel encourages all manner of bad behaviour with a lot of gain on offer. While the heavier tones we find are full bodied and only occasionally fizzy, it is in the truly impressive lower/medium gain settings that the HT-1R MkII proves its versatility as an excellent amp for blues and alternative styles, too. We find some great tones reminiscent at times of Gary Moore/Clapton/Robben Ford and others, albeit in miniature. You could, of course, make use of the handy speaker out to add a cab to your setup. 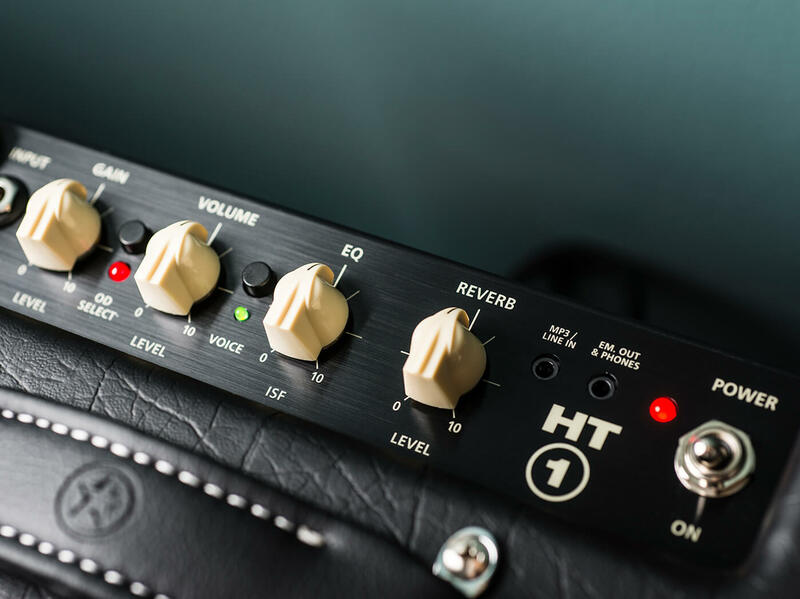 The HT-5 is cut from the same cloth as its little brother, albeit with an emphasis on increased volume and enhanced tone-sculpting, given its five watts of power and a full complement of bass, middle and treble knobs for the OD section, in addition to the ISF. Once again, we get the same sensation of spread to the sound, implying a much larger amp. The bass response is full and punchy and the detailed, characterful trebles are enhanced – but never swamped – by the newly voiced reverb. At five real watts, the HT-5 MkII is a belligerent box which could certainly handle studio rehearsals and even (with the DI out) full gigs, at a push. Should the amp’s volume prove unruly, you can switch the power to 0.5 of a watt, which takes the volume down to bedroom levels but is no less satisfying as a result. The HT-5 also comes equipped with an effects loop which is great for your delays and other time-based and modulation effects. Having put the HT-5 through its paces with a variety of different guitars, we remain impressed at how each instrument, from Strat to Supro via SG, retained its inherent character. 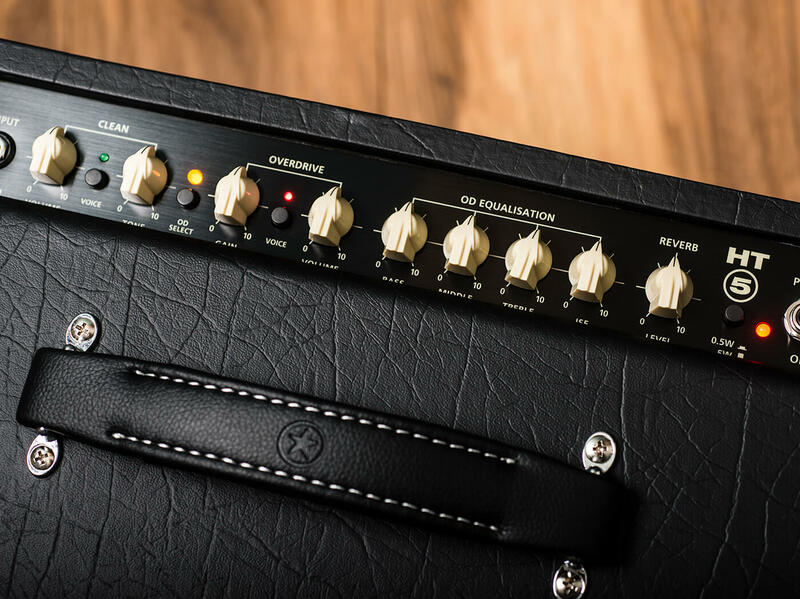 It’s certainly difficult to think of many other amps of this size that offer this amount of versatility – while the clean sounds are often very pretty on both amps, it’s in the filthier regions that we find the most fun. 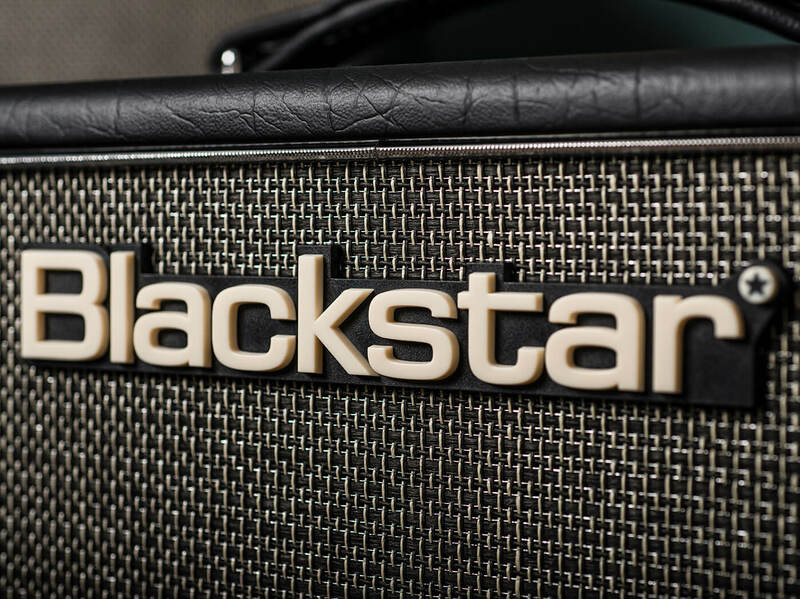 With so many bases covered from classic rock, blues and indie using the ‘classic’ voicing, to Sunset Strip precious metal with the ‘high gain’ voice engaged, the Blackstars pull off convincing sounds in both one- and five-watt contexts. Indeed, the overdrive/distortion timbres available on both amps are so varied and of such high quality that we wonder whether using these amps as a pedal platform would prevent them from playing to their strengths. Further experimentation reveals that some of the hairier fuzz boxes in our arsenal do lose some of their personality through the HTs, but it’s a sacrifice we feel is worth making. It’s especially heartening to see that both amps feature additional educational functionality in the form of an MP3/line-in and a nifty emulated-speaker/headphone out (mini jack in the case of the HT-1R). The sound quality when jamming to a backing track remains good, with lead-guitar sounds coming through literally loud and clear. Hidden around the back of both HT models is a USB out, which we find connects to a MacBook Pro without a hitch, allowing for immediate, high-quality recorded tones – very impressive. Should you wish to get some actual ‘air’ in the mix, you could always blend the DI signal with a mic. 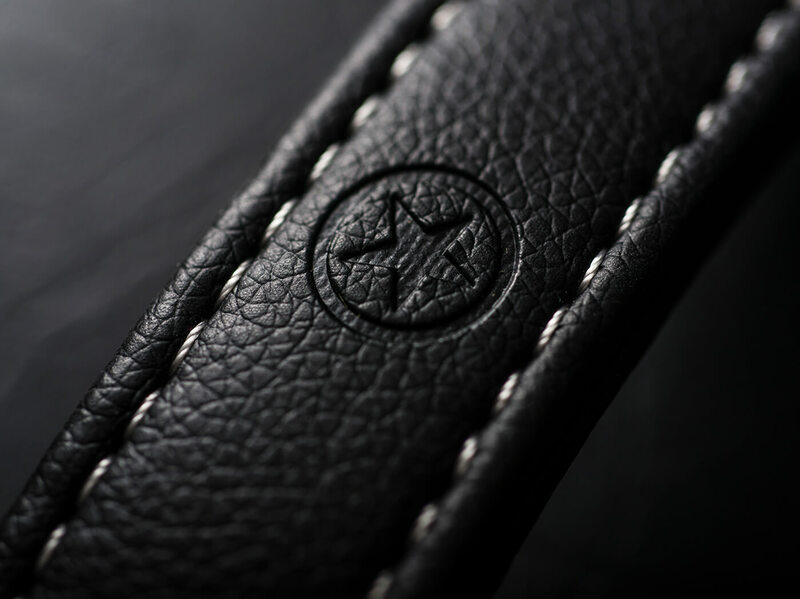 Yet for demos, scratch recordings or social-media posts, the quality on offer immediately exceeds expectations. 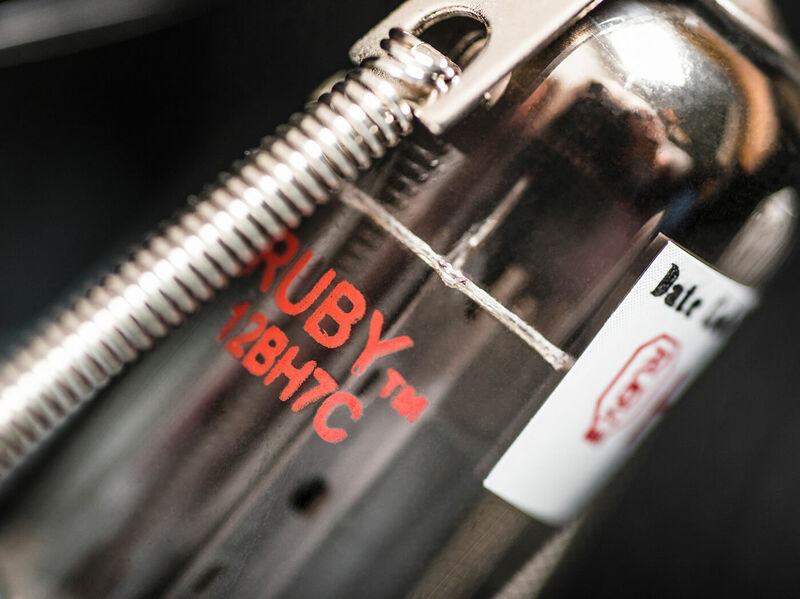 In conclusion, this updated pair of tubular belles shares much of the characteristics that made the original HT-1 and HT-5 models so popular, with some genuine improvements in both quality of tone and usable, well-thought-out options. There’s every reason to believe that the second generation of these amps will prove as ubiquitous as their illustrious predecessors. 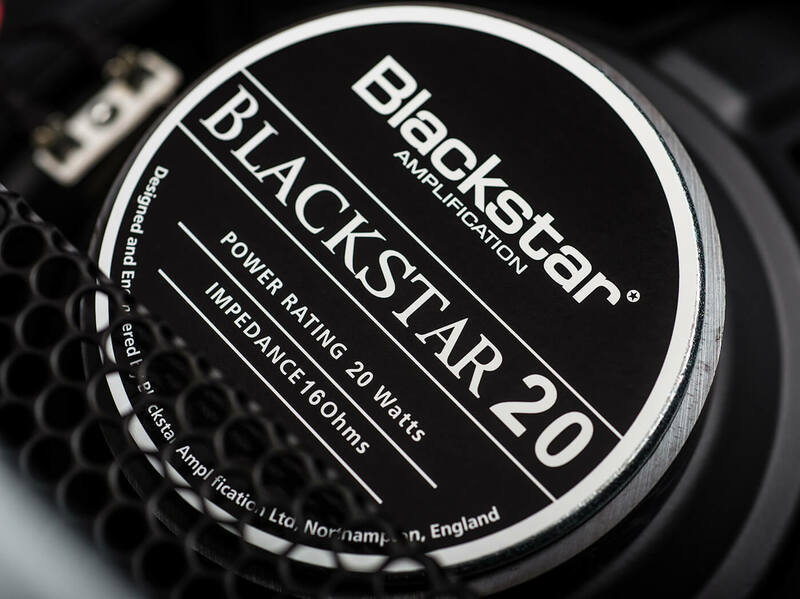 Updates cement Blackstar’s reputation for great sounds and features at an affordable price.